Reserved for summary. Erin fill this in after the investigative points are gone over below. Tonight I received a call asking for assistance in tracking down a GoFundMe scheme to collect money to "take down Donald Trump". As absurd as that seemed at first, the caller did have some interesting facts that connect to businesses that have been in operation for some years and also to the RNC, Reince Priebus. That peaked my interest, so we decided to take the job. Below is what we're discovering as we get it and we'll write it up from there and mail a copy over to the Trump campaign for whatever it's worth to them. On the surface, this looks to me like someone has somewhat hidden an underlying corporation which is behind the LLC and is using the LLC to cash in on the "let's take out the front-runner hype". It's really amazing the ideas people come up with to take advantage of election discourse and make some money off of it, but it is what it is. We shall see if that's all there is to this. Judging from the corporation behind the LLC, I have a feeling there's more to it than that. The name Liz Mair is the chosen proxy behind the scam and not the person collecting the actual money, although she is the person who created the GoFundMe page and advertises for that company. She may be an employee or getting paid through her own business, Mair Strategies, LLC. We'll try to piece this all together for you in this thread. This is the Twitter stream in question. It started with an account called @LizMair and the woman with the green worms coming out of her head is the profile picture on that account. Not too impressive so far. In other news, for those of you who aren't big dollar donors but want to beat Trump for CONSERVATIVE reasons, we have a tool coming shortly. This is a copy of the GoFuneMe Page created on November 20, 2105. Right off the bat, we see a red flag that shows this is a for-profit LLC where payouts are going to "consultants". That's code for yes, they're making money off of this. What's puzzling is that they need money when the Wall Street Journal is helping them advertise their scheme. The Wall Street Journal is owned by FOX News business tycoon, Rupert Murdoch through News Corp. Rupert Murdoch is a known amnesty-advocate as are other corporate investors that rely on cheap labor which Donald Trump opposes exploiting. It may very well be that this scheme is not really to obtain money, but acquire a base that manipulates the grass-roots activist into believing their favorite candidate would benefit by their efforts without realizing the corporate interest behind this type of funneling activity. The whole idea here is to make sure Trump doesn't win so that it's business as usual and their profits stay high. I've heard it said many times before, straight from some Republican corporate interest mouths that they'd rather see Hillary Clinton win than lose money under Donald Trump. They don't care what happens to the country or the country's future. To them, the bottom line is their wallet. People need to understand that before they fall into these traps that call themselves "grass-roots" initiatives. They're not in the middle-class's interests at all. I doubt Rupert Murdoch would put his name on this type of activity. It's too risky. He's going to have to find someone with green worms coming out of her hair that people can donate to. Trump Card LLC is a new venture that aims to stop Donald Trump from becoming the Republican nominee for President in 2016. Is that doable? Yes, but something very different to what is already being done by campaigns and SuperPACs will have to be undertaken in order to accomplish it. Unlike other efforts in the political arena, we are not focused on raising and spending big money to run pricey, lame TV attack ads so that big name establishment consultants can get paid and retire to their mega-mansions. The truth is, money brought in by Trump Card LLC will be spent first and foremost on the effort itself, with any payout to consultants being a low-level priority. Initially, we're seeking a very small amount from small donors, deliberately. 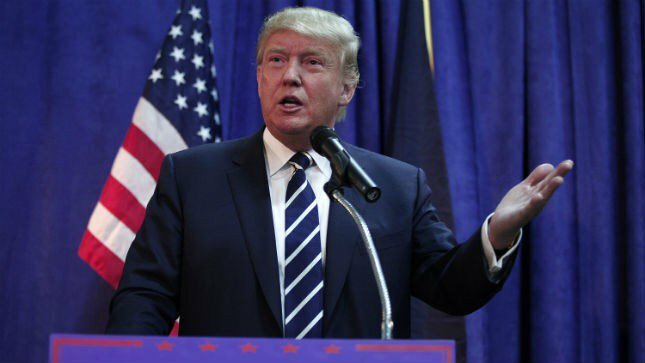 Can you chip in $16 today to stop Trump in 2016? At Trump Card LLC, what we're doing isn't about anyone enriching ourselves, it's about stopping Trump. Everyone involved in the effort has their reasons. But the bottom line is, we don't want to waste anyone's money, and we believe that with regard to this mission, earned media efforts, use of digital tools, use of grassroots and word-of-mouth messaging, and other lower-budget communications methods can move the needle. Adopting a "spend millions of dollars to buy primetime advertising on big TV channels" strategy will not be as cost-effective in achieving our outcomes. Our effort was profiled by the Wall Street Journal, and since that piece ran, we have had a number of small contributors reach out to ask whether they can help fund our work, and if so, how to do it. This page will enable those with a few dollars to give to contribute to our effort, and will enable us to diversify our fundraising base beyond the bigger dollar donors who are already on board. As a reminder, there are so many reasons why Trump needs to be, well, trumped. Maybe you dislike his enthusiasm for socialized medicine schemes. Maybe you think he doesn't respect property rights and abuses eminent domain. Maybe you worry that he'll gaffe his way into putting Hillary Clinton into the White House. Maybe you think his business success is overblown, and that he'll underperform and underdeliver if he ever gets near the nominating stage in Cleveland, or the Oval Office. Maybe you just don't like his vision for America, and don't believe it will be "great" under a President Trump. Maybe you disagree with him on trade or immigration. Maybe you worry about his positions on social issues. Maybe you fret the idea of him having any pathway whatsoever to a position where his finger would be on our nuclear arsenal. Maybe you just find him irritating. Maybe you don't like his hair. Maybe you loved him on The Apprentice, and want to send him back to doing reality TV for your viewing pleasure. 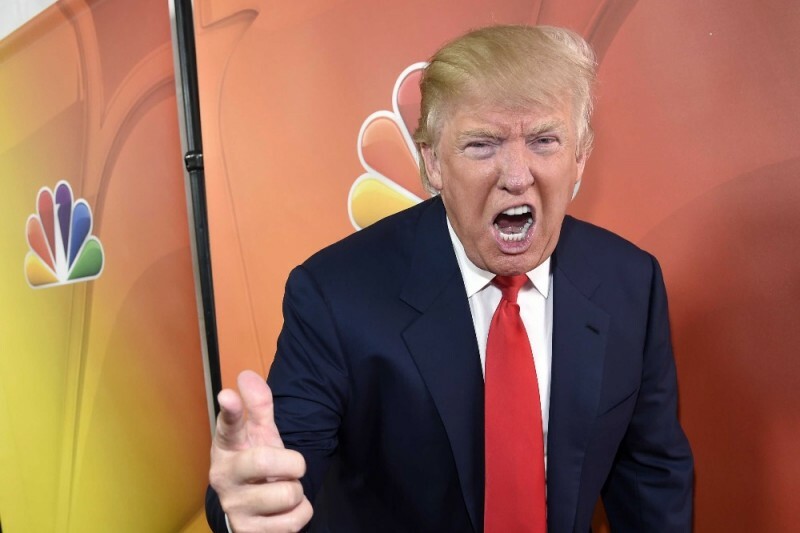 Whatever your reason, we agree with you that Trump should not be the Republican nominee for President in 2016. You can help to "fire" Trump from top-tier status, together with us. Please note that Trump Card LLC is a for-profit LLC, and therefore, anything you give is not tax-deductible. This is the list of the people who donated so far. They were even crazy enough to share their names and pictures, which we are direct linking to. Please use Facebook to leave a comment below: Continue Nothing gets posted to your wall. Only your Facebook name & photo are used. Idiotic waste of time and money. Rally behind the front runner - help him chose a good running mate - help to surround him with an ethical staff that will support the will of the people. Attack the democrats not someone willing to fight for America. The Wall Street Journal makes the erroneous claim that unless people join their "grass-roots" effort, Hillary Clinton will become the next President of the United States. The Republican establishment, increasingly alarmed by the enduring strength of Donald Trump’s presidential bid, is ratcheting up efforts to knock him out of the race, including the first attempt to unite donors from rival camps into a single anti-Trump force. Unfortunately for them, there's no evidence to back up this claim as Donald Trump is leading by a wide margin. 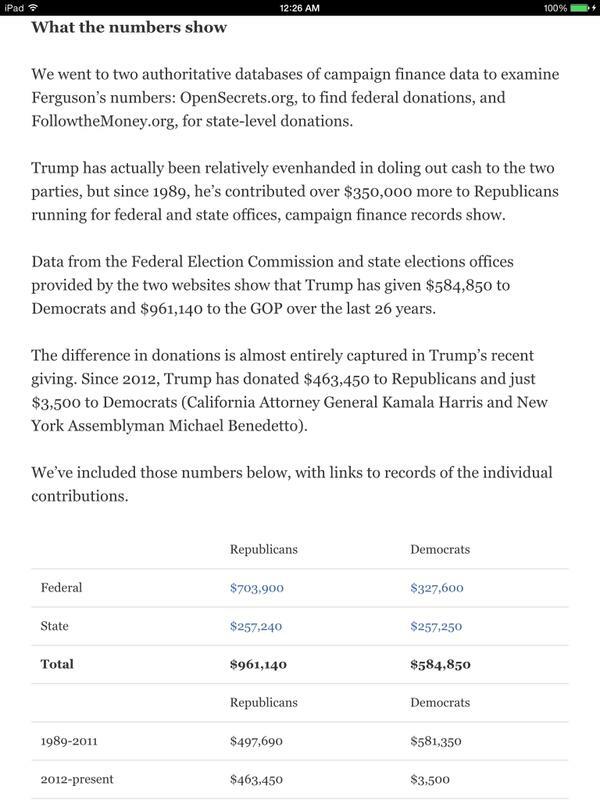 There's also no truth to the rumors that Donald Trump is a Democrat and gave more to Democrats than he has Republicans. OpenSecrets.com is a readily available resource that quashes that claim and other falsehoods perpetuated by the GOPe. It's really just fear-mongering to coax people into believing their hard-earned dollars would stop this from happening and infuriate them against Donald Trump. Out on Twitter, Liz Mair denied working for the RNC when Reince Priebus was confronted on Twitter. However, the Wall Street Journal headline doesn't appear to agree with Mair's claim as it reads, "GOP Operative Plans ‘Guerrilla Campaign’ Against Donald Trump". The headline itself discredits this activity as any sort of grass-roots initiative since the GOP is an acronym for the RNC. This is an important differentiation since a loyalty pledge was entered into with all candidates and the RNC. Ms. Mair's tainted history with the now suspended Walker campaign was confirmed by The Des Moines Register in a March 17, 2015 headline, "Scott Walker's digital consultant has taken swipes at Iowa". The following day, The Hill reported that Liz Mair resigned from the Walker campaign after coming under heavy fire. The Hill wrote: An online communications strategist working for Wisconsin Gov. Scott Walker’s (R) campaign-in-waiting resigned late Tuesday, according to The Associated Press, after controversy erupted over disparaging comments she had made about Iowa. The news agency said that Liz Mair’s resignation — only a day after news broke that she had been hired — would be immediate, quoting a statement from her. Mair was, for the moment, affiliated with Walker’s political action committee, but it was widely expected that she would play a role in his official campaign if he entered the 2016 race for the White House. She had worked for Walker previously, when he faced a recall election in 2012. In 2008, she worked as online communications director for the Republican National Committee. The controversy that engulfed her was focused primarily upon tweets she sent during the Iowa Freedom Summit in January, an event where Walker was seen to have shone. When The Hill dutifully tapped out coinciding "Guerilla Campaign" headlines, Trump-defenders were quick to respond, reviving an angry hornet's nest of GOPe campaign blunders and embarrassments, while others took to questioning Reince Priebus directly.
.@thehill FAILURE @LizMair was FIRED BY Scott Walker, Lobbied 4 Open Borders & is apparently raising $ for herself! @Vote4Larsen @Reince I worked there in 2008. Why would Reince care? Mair described Trump Card LLC to the Journal as "loosely organized and highly confidential." She said she hopes to lock up funds from donors who are interested in pushing back against Trump but don't necessarily want their involvement to become publicly known. Probably the last thing one would want to portray elections as, is anything shrouded in secrecy. Americans are a rather curious sort and fiercely defensive of their candidates, Iowa and their voting rights, much to the chagrin of a frustrated Washington establishment. We were handed the first pieces from Twitter. According to D&B, Elizabeth Mair actually owns Liberty Maximize, Inc., and while it's not the one we're looking for, it could be the "consulting" agency that Trump Card, LLC pays out to or direct to Mair Strategies, LLC itself, so we'll list them both. This profile for Liberty Maximize Inc is located in Arlington, VA. Liberty Maximize Inc industry is listed as Business Services at Non-Commercial Site. Now that we know who Liz Mair is, we'll move onto who her professed LLC is, Trump Card, LLC., an Air Freight Forwarder? What happens next is that Trump Card, LLC had another company listed as it's officer. That company was IGC Holdings, Inc.
IGC Holdings, Inc. was found to have an officer, Trump Card, LLC. What we do next is find out who owns IGC Holdings, Inc. because we're looking for a name. D&B Reports Available for Igc Holdings, Inc.
Igc Holdings, Inc. is listed as an officer of another company. 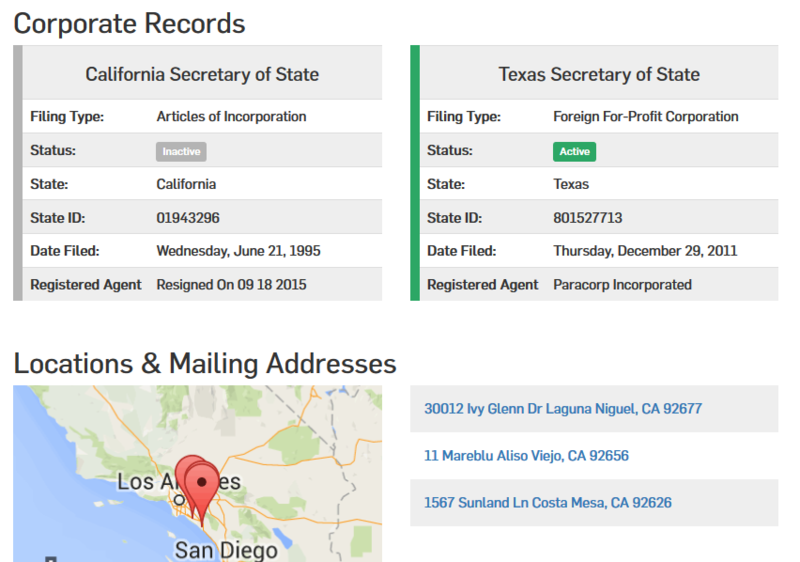 Trump Card, LLC filed as a Domestic in the State of California on Monday, August 24, 2015 and is approximately two months old, according to public records filed with California Secretary of State. 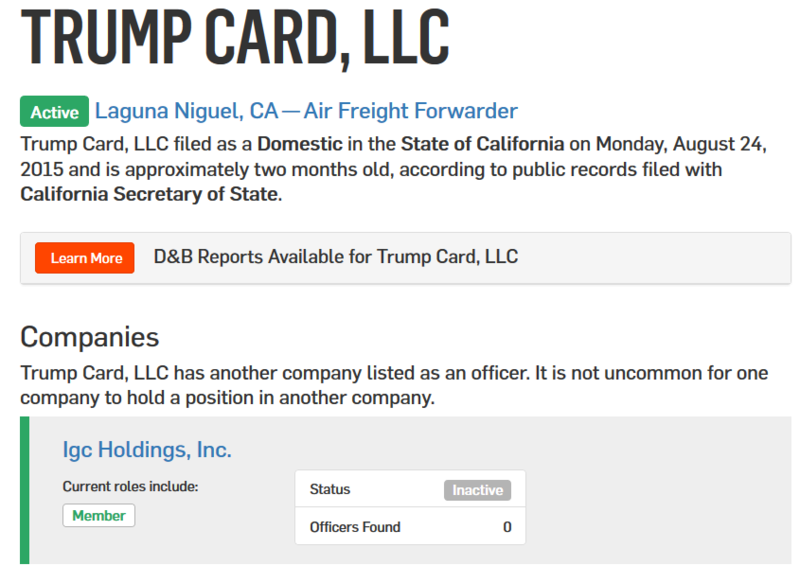 Trump Card, LLC has another company listed as an officer. It is not uncommon for one company to hold a position in another company. The next layer is in finding out who IGH Holdings, Inc. is. Who Owns IGH Holdings, Inc.? IGH Holdings, Inc. is listed as a Domestic Stock company with Dun and Bradstreet. So what does a Domestic Stock corporation want with Donald Trump and why was it created around the exact same time that Donald Trump declared his candidacy? AS we dig deeper, we're starting to see pre-planned patterns of deceit and maneuvers to effect the outcome of an election before it even got off the ground. Next up! Who is Michael X. Hanlon? This is where we tie Trump Card, Inc. with Michael X. Hanlon. 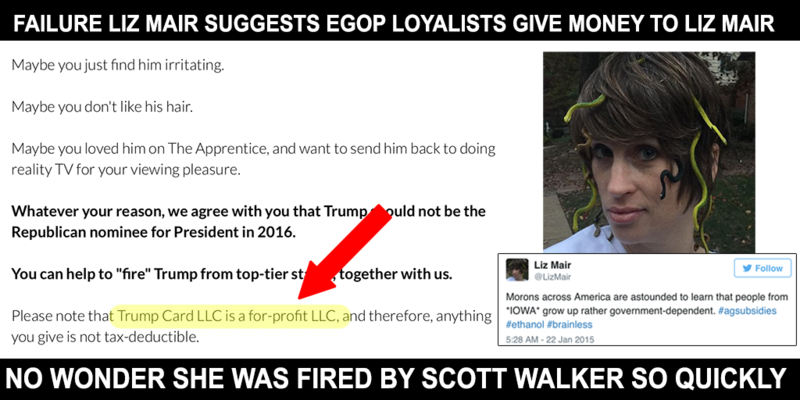 Trump Card, LLC was advertised as a for-profit business to take down Donald Trump by a woman named Elizabeth Mair who worked at the RNC and the Scott Walker campaign. She was fired from the latter after insulting Iowa voters and the Iowa caucus. Trump Card, LLC has another company listed as an officer, IGH Holdings, Inc.
IGH Holdings, Inc. is owned by Michael X. Hanlon. Michael X. Hanlon also owns Trump Card, Inc. (not to be confused with Trump Card, LLC because it's a separate filing owned by the same person). Scroll down to "Other companies for Michael" and you'll see where Trump Card, Inc. appears. President at Trump Card, Inc.
Russo Holdings Corporation filed as a Articles of Incorporation in the State of California on Tuesday, January 16, 1996 and is approximately nineteen years old, as recorded in documents filed with California Secretary of State. Before we go any further, let's answer the question, Who the hell is Michael Xavier Hanlon? Trump Card, Inc. not only ties Michael Hanlon to this operation but his wife. This piece of research tell us where the air freight company comes in. 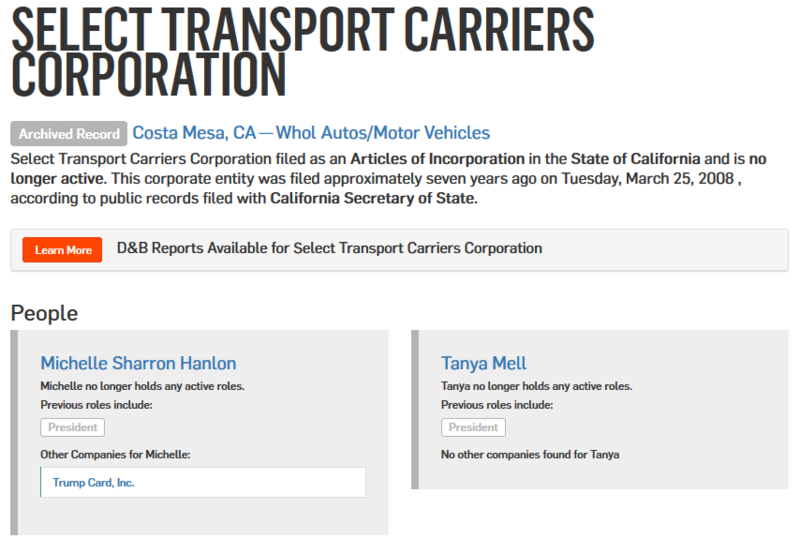 Scroll down to Hanlon's wife, Michelle, and you'll see Select Transport Carriers Corporation. Trump Card, Inc. filed as a Foreign For-Profit Corporation in the State of Texas on Thursday, December 29, 2011 and is approximately four years old, as recorded in documents filed with Texas Secretary of State. A corporate filing is called a foreign filing when an existing corporate entity files in a state other than the state they originally filed in. This does not necessarily mean that they are from outside the United States. D&B Reports Available for Trump Card, Inc.
We pause this investigation to bring you the latest developments from the Liz Mair / Michael Hanlon covert operation to take down Donald Trump. They just took down their GoFundMe Page. Not to worry! We have all the copies. According to Ms. Mair's Twitter, the page was taken down due to a spike in big donors and had nothing to do with being exposed. Wait. What? For those wondering, also-- no, nothing bad. We are, however, experiencing a spike in interest from big donors. So, we've taken down the GoFundMe page. Thanks for all your support. We're excited! For those seeking to contribute to Trump Card LLC-- there's been a development that justifies parking small dollar fundraising. Select Transport Carriers Corporation is the wholesale autos/motor vehicle owned and operated by Michael and Michelle Hanlon together with IGC Holdings, Inc. This solves the mystery as to why Trump Card, LLC is listed as an air freight business. It's done so as to appear that it's an extension of the existing businesses owned by the Hanlon's. This is advantageous for tax write-offs, other things or maybe if you just want to hide a political take-down operation you don't want anyone to find. To demonstrate this again, we see Trump Card, LLC clearly defined as an Air Freight Forwarder. The actual Air Freight business is not Trump Card, LLC., it's possibly IGC Holdings, Inc. owned by Michael and Michelle Hanlon. It's a slight of hand trick but easily spotted by reviewing the D&B report. Here we see Select Transport Carriers Corporation (no longer active) designated as a Wholesale Autos/Motor Vehicle corporation. Michelle Hanlon is also seen as operating Trump Card, Inc. Tanya Mell is a new name that appears as former President. Tanya Gwinn Mell is the current Owner/President of Select Trucking Carriers and former officer of Select Transportation Carriers, LLC. These businesses all appear to engage in the transport of motor vehicles. The last word I received was that Cheri Jacobus was involved. I took a look at her Twitter and found round-the-clock harassment of anyone pro-Donald-Trump. While there's too much harassment to list, there was ample evidence that she was following those involved and part of the push to get the money flowing into Trump Card, LLC. Today she was seen lashing out venomously over the page being removed once they were exposed and suggested donating money directly to a Ted Cruz affiliated account and Club For Growth, a PAC who was involved in trying to extort Donald Trump for $1,000,000. Breitbart also did an article on the happenings with Trump Card, LLC that I'm assuming Ms. Jacobus is not very happy with today. According to Twitter, Inc., their guidelines prohibit targeted harassment. I suggest the people being affected start using their report system. LIZ! THEY'RE ON TO US! See you in Moscow. @LizMair @TheRickWilson Traitors to USA is what this is. This has to be the most telling retweet of all. The opponents of Donald Trump believe that under Obama, they were making "years of progress". I'm more worried about those "conservatives" propping him up. Years of progress tossed aside to back a fraud. I'd hate to see your room because this is one big mess. I'll clean it up and blog it. Maybe they can get a powerhouse blog to pick it up. People need to know they're being had. As strange as it sounds, Liz Mair was actually the 2015 campaign consultant for Scott Walker. She was fired (or resigned if that makes anyone feel better) after insulting Iowa voters on Twitter and trivializing the Iowa Caucus. Walker gets rid of Mair (at least on paper) so Iowans feel better about voting for him, or so he had hoped. As it turned out, Walker wound up suspending his campaign and taking up the hobby of hating Donald Trump along with his buddies which include none other than Liz Mair, Libertarian and supporter of illegal alien amnesty, Global Warming, gay marriage and abortion. As FrontPage points out, Mair and her associates are on a mission to sway Republicans from voting for Donald Trump as if their own political views wouldn't matter. It does. And they do this under the guise of alleging that Donald Trump isn't conservative enough. The question is for who? Certainly not Liz Mair and her associates, that's for sure. What lies beneath all the boring articles defending or attacking Liz Mair, it's worth noting who they say her friends are. "Friends" being a very loose term considering the backstabbing that goes on in the world of media and politics but friendly enough that they took the time to make every excuse in the book for Mair's careless and very public actions. In a country where it's true we don't make anything anymore, I suppose a favorite pastime is writing, getting paid for it with clicks by people who have nothing better to do because, there's nothing worthwhile to do. So we sit around, writing a potpourri of words, feigning outrage about things that people in third-world starving countries couldn't give a hoot about. The common denominator is of course pro-amnesty left-wing, Libertarians with overkill hate for the most conservative candidate on the GOP block so far, Donald Trump. This is an important clue in perhaps the real reason for their own false outrage with everything Trump. It's not that they don't agree with Trump. They don't agree with Republicans in general. Rather than risk alienating the party they've weaseled their way into, it's easier to just blend in and focus on taking that man out. Still, it's important to know what their political agendas are, how they are not in sync with a true conservative label and play just as dirty as the liberals. After all, that's where most of their origins come from. If not for the illegal operations they've been shown to engage in, especially where it concerns profiting under falsely-filed corporations and LLC's, we could just leave this alone and chalk it up to idiocy. Considering they keep at it and promise more, I don't think we should leave it alone at all, even though the plentiful articles out on the internet so far don't dare touch the material here. Unless of course you're TeaPartyNation and just copied this topic along with the tags without a clue of what you were writing about or linked to this so people might understand. No, I think we should keep going, uncover them all, everything that's going on and let the judge deal with them. Corruption in elections is unacceptable. It's ironic that it's coming from the very same people who write about corruption all day. The information below reflects the content of the FMCSA management information systems as of 2016. OAK BROOK, IL--(Marketwired - Aug 28, 2015) - Magnate Worldwide ("MWW"), a partnership between CIVC Partners, L.P. ("CIVC") and Magnate Capital Partners ("MCP"), is pleased to announce the acquisition of a majority stake in TrumpCard, Inc. ("TrumpCard" or the "Company"). As part of the transaction, the founding shareholders will continue to be involved in the business going forward and maintain a significant ownership stake. TrumpCard is a provider of premium logistics services specializing in the transportation of high-value and time-sensitive shipments across the healthcare, aerospace, entertainment, and electronics industries, among others. The Company provides a full suite of specialized logistics services, including deferred and time-definite airfreight, next day air, and other domestic and international expedited services, as well as an array of customized white-glove services. TrumpCard consistently delivers exceptionally high levels of service and superior on-time delivery rates to customers across the country through a centralized, best-in-class operations center located at the Company's headquarters in Carlsbad, CA. For additional information about TrumpCard, visit www.trumpcardinc.com. "We are extremely excited to join the Magnate platform," said TrumpCard's CEO Marco Hanlon. "The senior management team at MWW has a long, successful history of creating world-class logistics companies that will be invaluable to TrumpCard as we accelerate growth and continue to provide best-in-class service to our customers. We are also thrilled to work with CIVC going forward given their impressive track-record and believe that they are uniquely well-suited to support our growth objectives." TrumpCard is the first investment made by MWW, which was formed in late 2014 by CIVC and MCP to build a premier asset-light transportation and logistics company focused on the North American premium transportation and international freight forwarding markets. Three partners at MCP hold senior management positions at MWW. Dan Para and Mike Welch, who have each previously built successful logistics and transportation companies, are the Chief Executive Officer and President, respectively. Frank Shinnick is the Chief Financial Officer. "TrumpCard is dedicated to the premium logistics niche and is committed to delivering superior service to clients," stated Mike Welch, President of MWW. "We feel that TrumpCard is the ideal cornerstone for MWW as we execute on our strategy to build a leading, multi-disciplined, asset-light transportation and logistics company." John Compall, a partner at CIVC, noted that "TrumpCard has built a highly differentiated platform in the fragmented logistics industry and we are thrilled to partner with the management team to capitalize on the large market opportunity through both organic and acquisition-based growth strategies." The acquisition of TrumpCard builds on CIVC's investment experience in the outsourced business services industry. Prior outsourced business services investments have included KPA Services, Yellowstone Landscape Group, EN Engineering, PowerTeam Services and Track Utilities. For more information on MWW's acquisition criteria, please visit www.magnateworldwide.com or email Dan Para (dpara@magnateworldwide.com) or Mike Welch (mwelch@magnateworldwide.com). MWW is a shipping and logistics company focused on asset-light premium logistics that serves its clients by providing experienced and skilled operational and customer focused talent. MWW seeks to partner with best-in-class companies that operate in the international freight forwarding and North American premium transportation markets. With a strong capital position and seasoned management team, MWW is building a leading premium transportation and logistics provider. Find out more at www.magnateworldwide.com. CIVC Partners is a Chicago-based private equity firm established in 1970 that provides growth and buyout capital to middle-market companies and executives with a focus on the business services and financial services sectors. The current management team, which has worked together since 1989, has invested $1.5 billion in 58 platform investments and currently invests from CIVC Partners Fund IV. More information on CIVC Partners and its portfolio companies can be found at www.civc.com.